Introducing the revolutionary Safeclean 3. The first non-hazardous cleaner designed to remove adhesives from packaging, labelling and bookbinding machinery. There is now a viable alternative to harmful cleaning solvents. Safeclean 3 is a ground breaking, and uniquely safe cleaner formulated from synthesised mineral oils and derivatives of orange oils. Its highly concentrated formula aggressively softens and looses adhesive residue for easy removal after just a few minutes. Easily removes adhesive deposits from labelling equipment after just a few minutes. Brushes, pallets etc can also be soaked overnight. 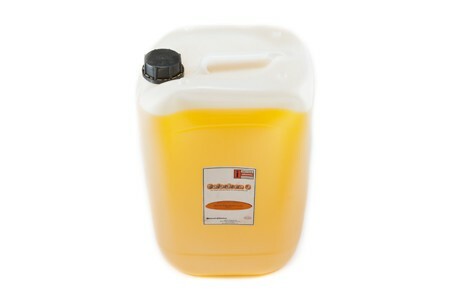 Cleans adhesive residues from hot melt applicators and packing machinery. Use of guide tails, guards, conveyors etc. Smaller parts such as nozzles and guns can be soaked to allow easy cleaning. Nozzles, guns etc can be soaked to allow effortless cleaning. 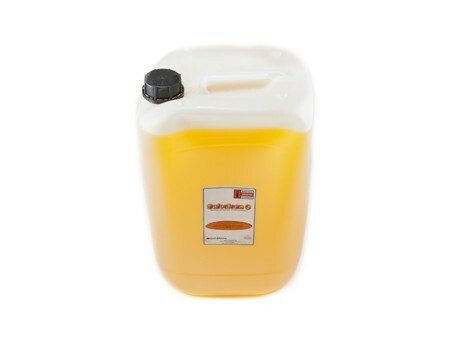 Also very effective on greases, waxes and oil residues.